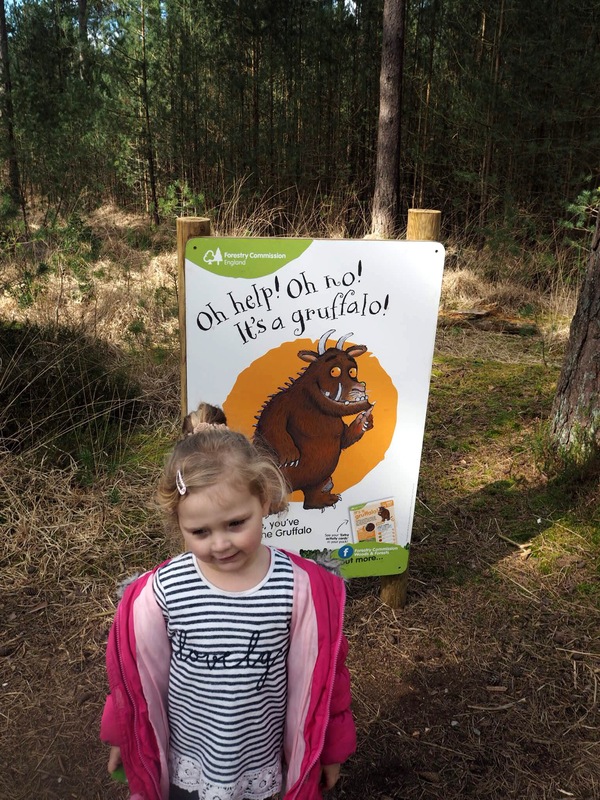 I am a huge fan of The Gruffalo, it’s one of my favourite books to read to the children and one of the only ones I find easy to get into the characters when reading out loud. 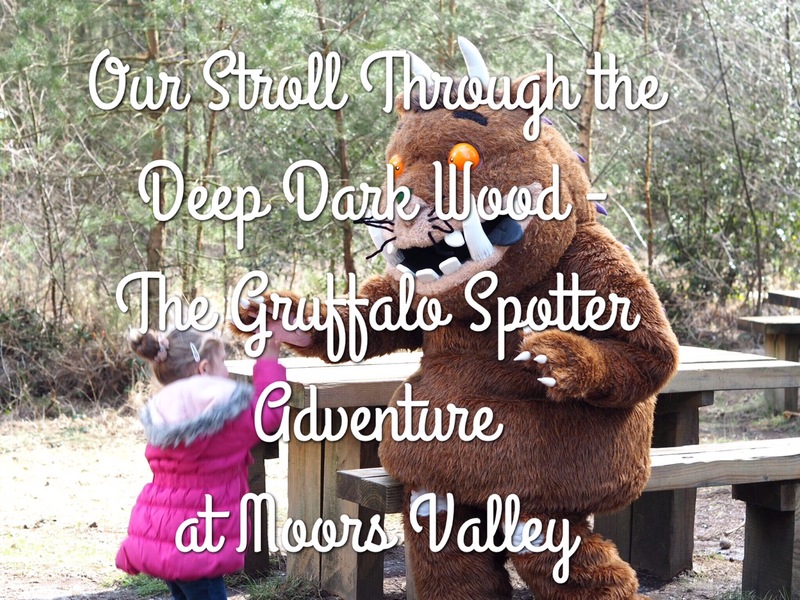 The children also love the story and Carly was absolutely ecstatic when I told her we were heading off to Moors Valley to meet the Gruffalo and go on the Interactive Gruffalo Trail! 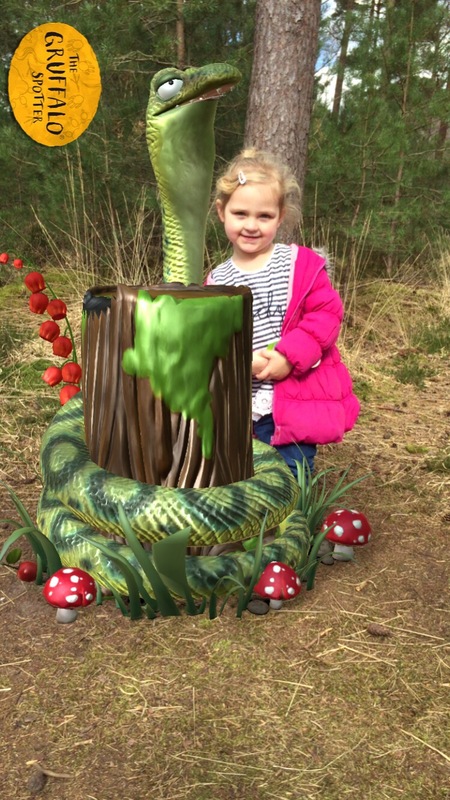 The self led trail is one of 26 around the UK, where families can bring the characters of the well known tale to life using a unique augmented reality app. 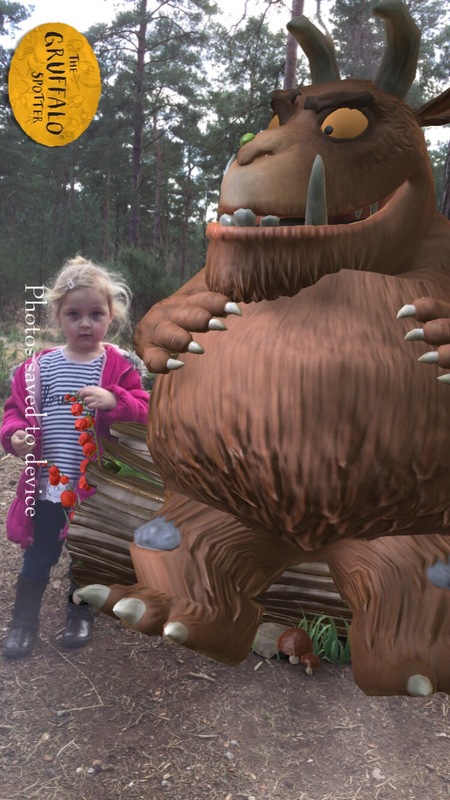 The Gruffalo Spotter app is available for free with no in-app purchases from both the App Store and Google Play and is quick and simple to load and use as you walk around the trail. What I absolutely loved was how magical it was for children. 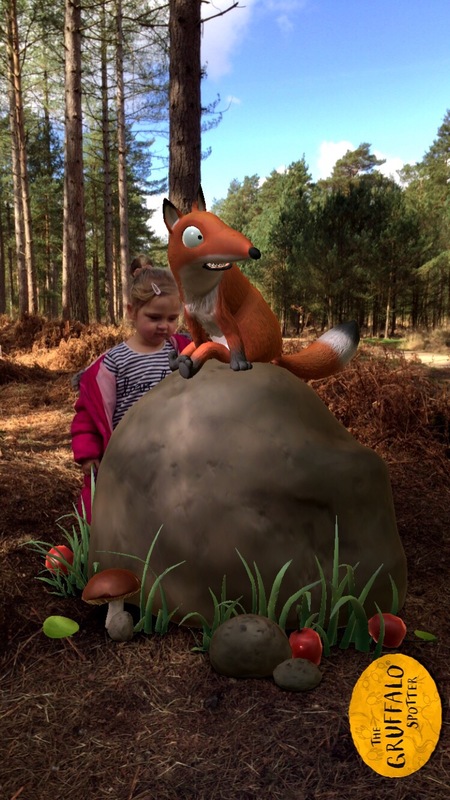 Carly found it so strange that the characters weren’t there until I pointed my phone at the special landmark and she enjoyed posing for photos with mouse, fox, owl and snake and of course the Gruffalo himself! The activity got us walking around in nature, something I usually shy away from. 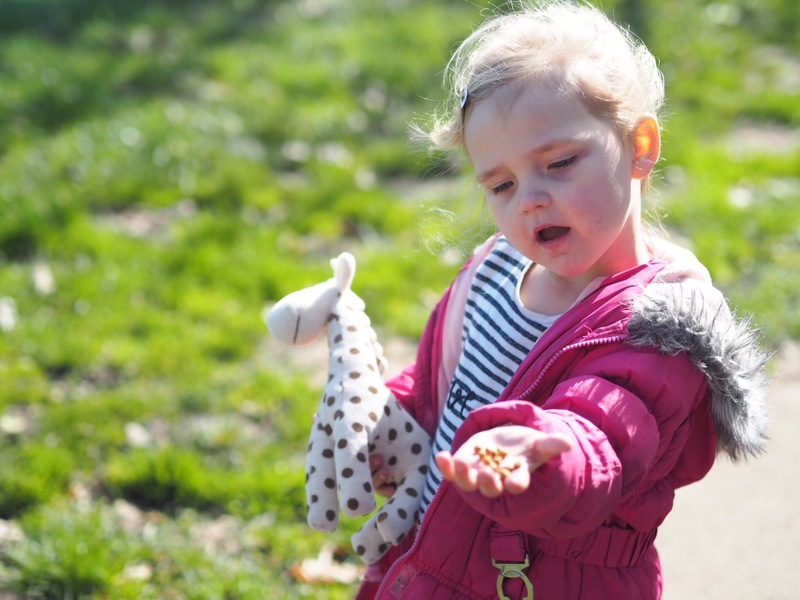 As we were engrossed with finding the next clue and loading up the app at each spot we clocked up the walking without me even noticing until the end when I felt good for getting fresh air and exercise. 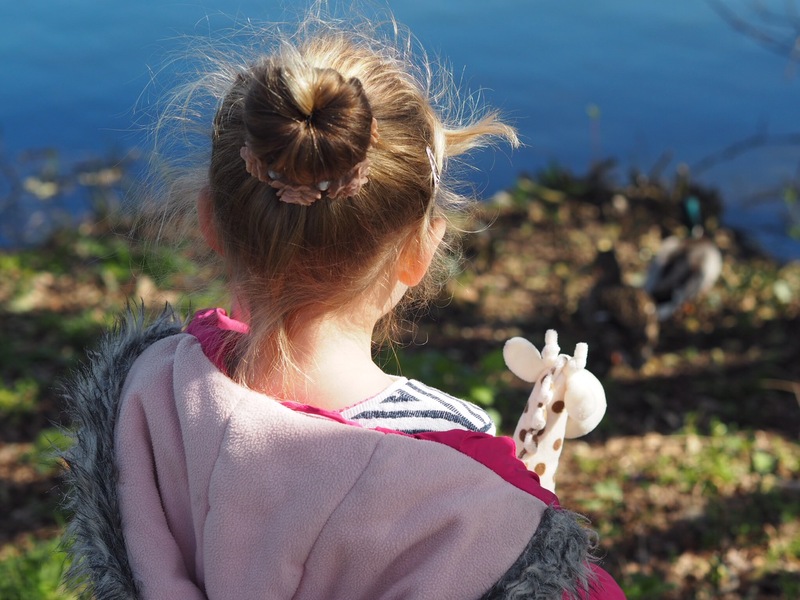 Carly’s excitement grew as we walked around the trail, culminating in great delight, and only a small amount of trepidation, when we finally reached the infamous creature with the knobbly knees and purple prickles all over his back! 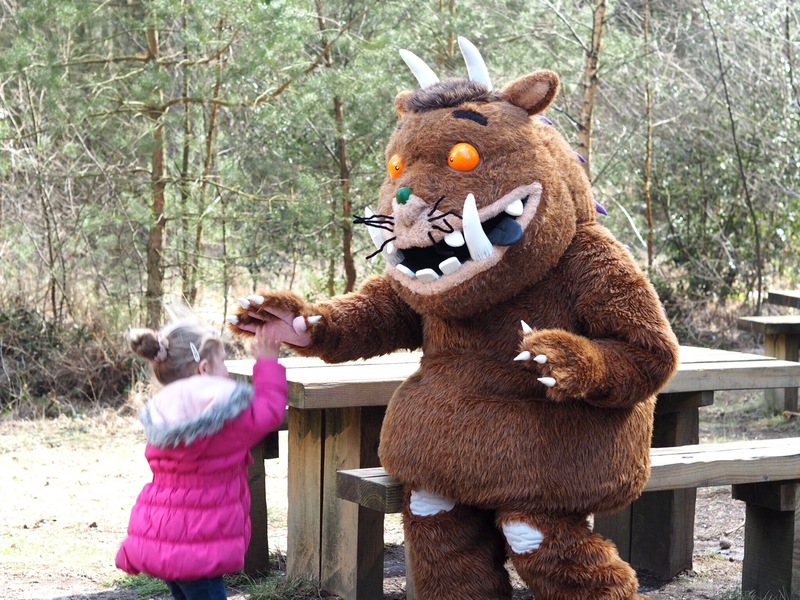 Carly also got to meet The Gruffalo himself during the press launch, and despite initial fears, she was soon using a feather to tickle him and giving him big hugs. 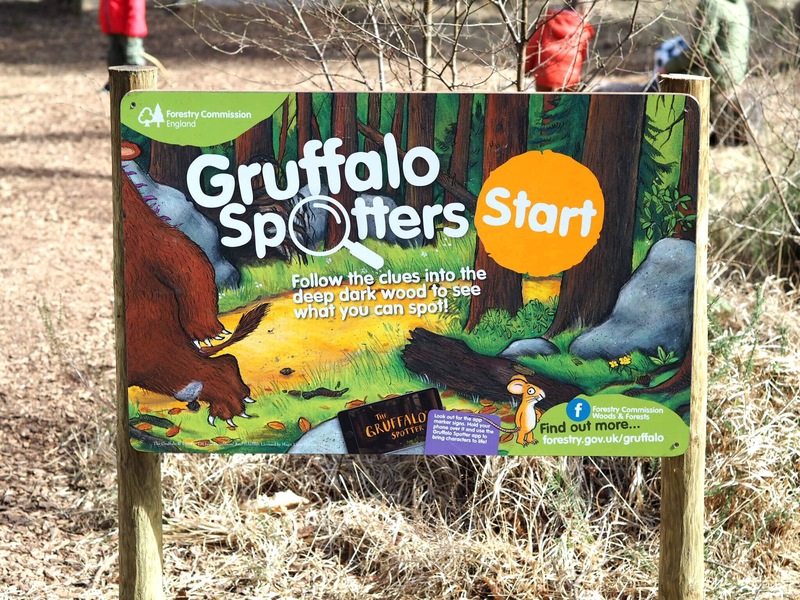 The trail is free of charge, although you can purchase a Gruffalo spotters kit from reception for a small charge. 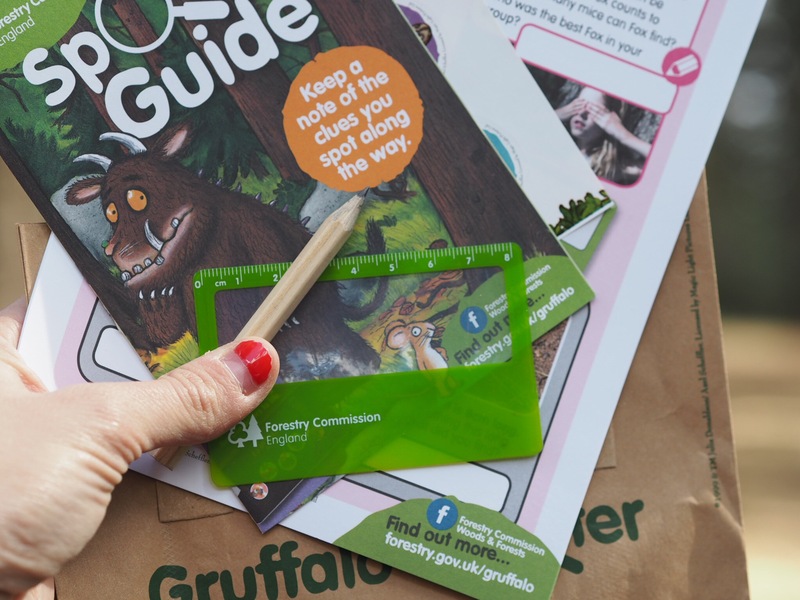 This kit includes animal facts, tips for tracking wildlife, a bag to collect your evidence, a magnifying glass and a pencil. 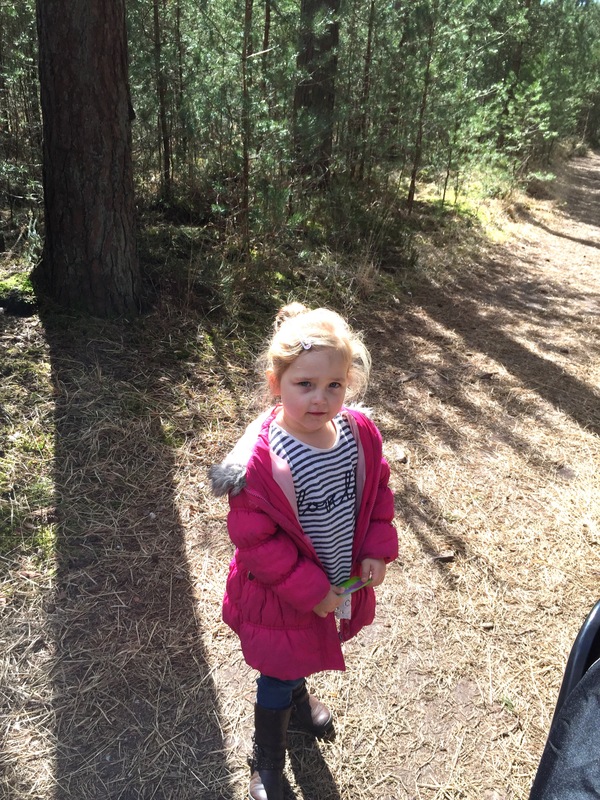 Moors valley doesn’t charge an entrance fee, although parking charges do apply. 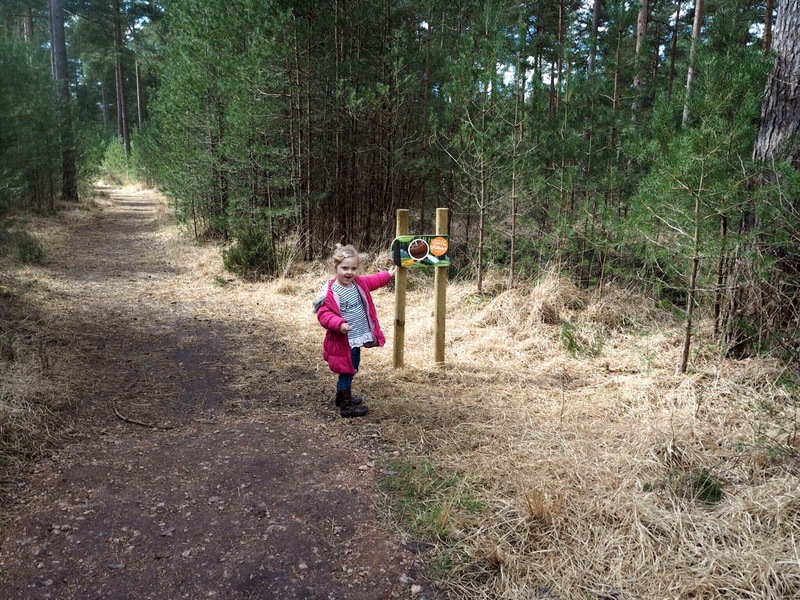 The trail is suitable for pushchairs – I walked around with Benjamin in the buggy, and had no problems getting around. 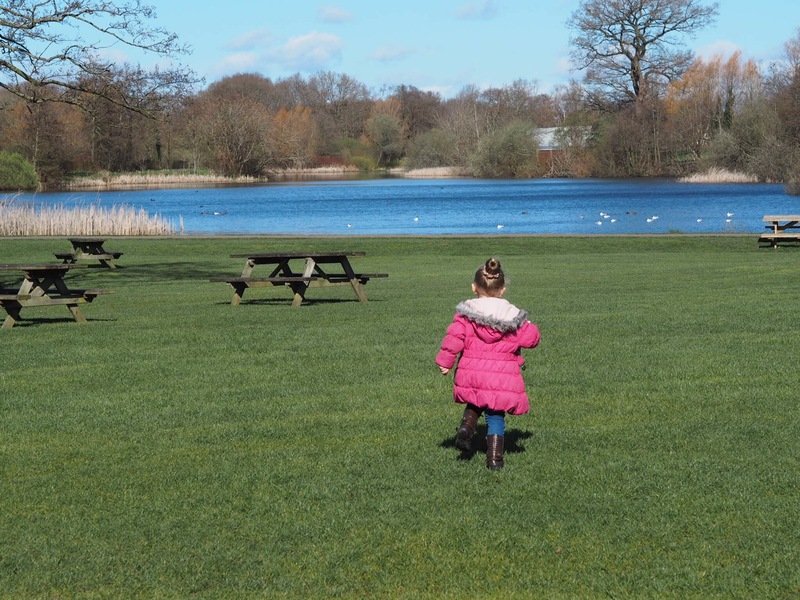 As well as all the Gruffalo fun, Carly also had a great time playing in the play area and feeding the ducks by the lake. 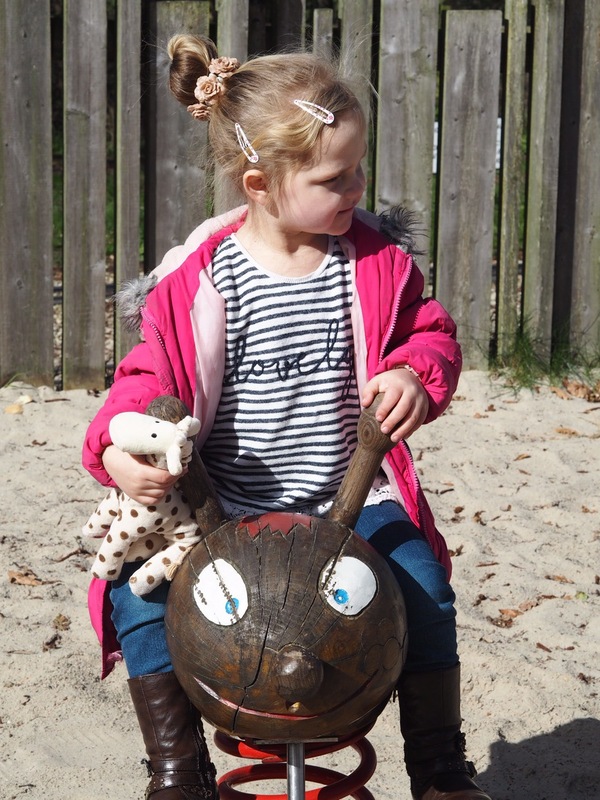 Although we didn’t go on the train this time, the children have been on previous visits to Moors Valley and it’s a firm favourite. 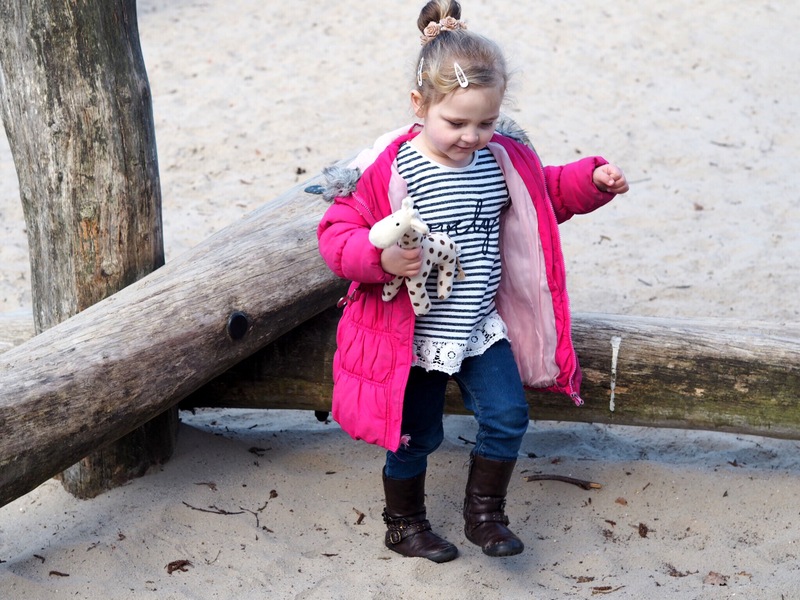 I will definitely be revisiting Moors Valley when Cameron isn’t at school as I know he will really enjoy the trail too. It’s a brilliant, economical day out for all the family. 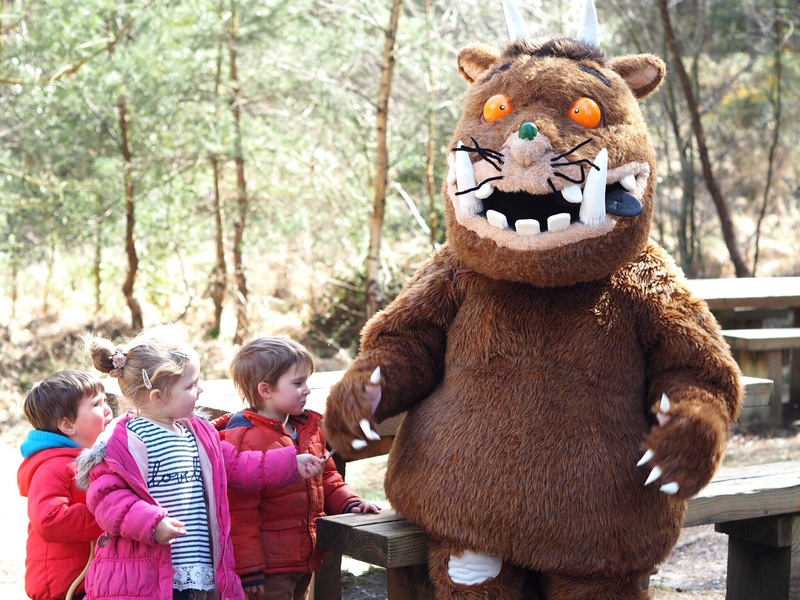 The Gruffalo trail at Moors Valley is open now until the end of December 2017. 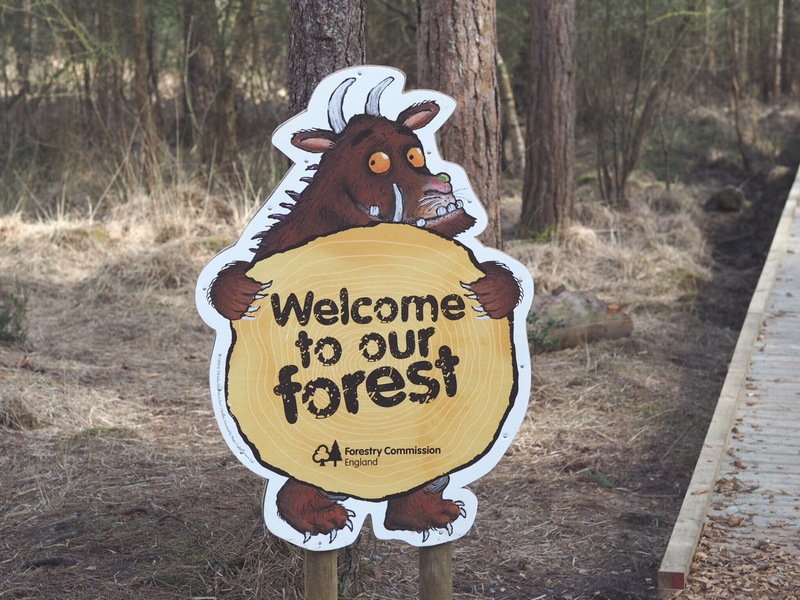 If you aren’t local to Moors Valley, make sure you check out the other Gruffalo trails around the UK! 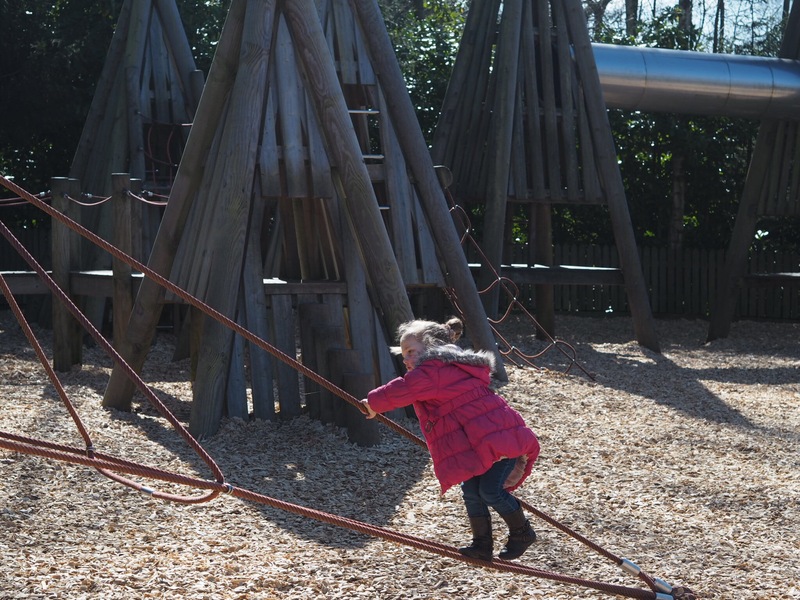 We were invited to Moors Valley as guests and provided with an activity kit and free parking for the purpose of checking out the new attraction to the park. All views and opinions are my own. This looks like so much fun I know a lot of people who have been and recommended it but haven’t really seen the pictures so didnt understand the fuss. Your pictures tell a 1000 words of this place it looks fantastic! 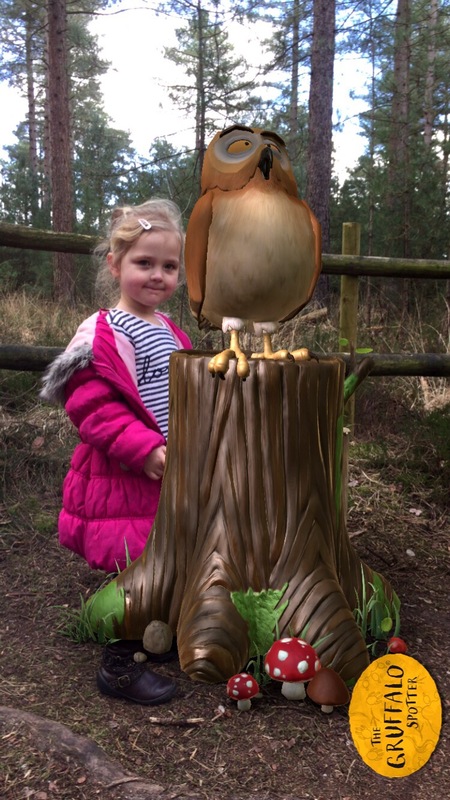 Ah I still need to look and see if we have one in our area – it looks like you had a fab day out, your photos are great. Such a brilliant idea. This looks incredible! 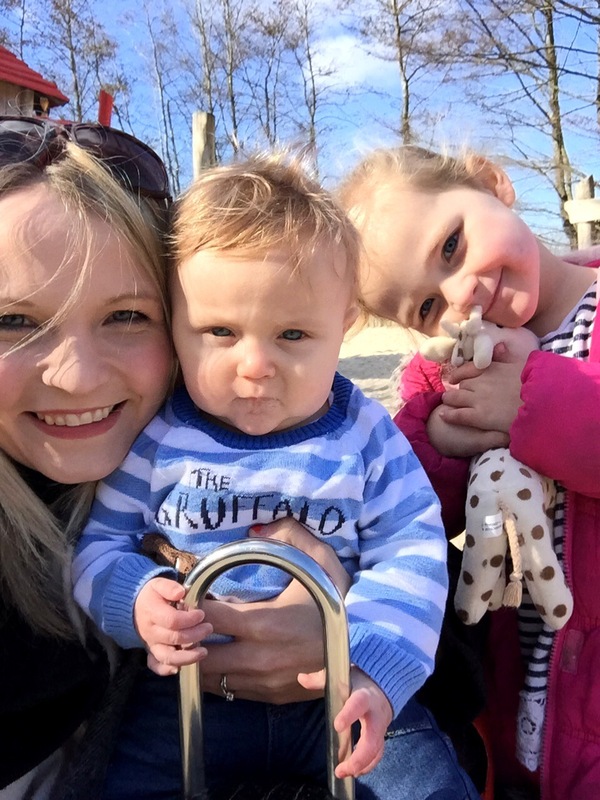 We’re doing it at our local forest in Devon tomorrow as part of our Mother’s Day celebrations, I’m so looking forward to it! This looks fantastic! 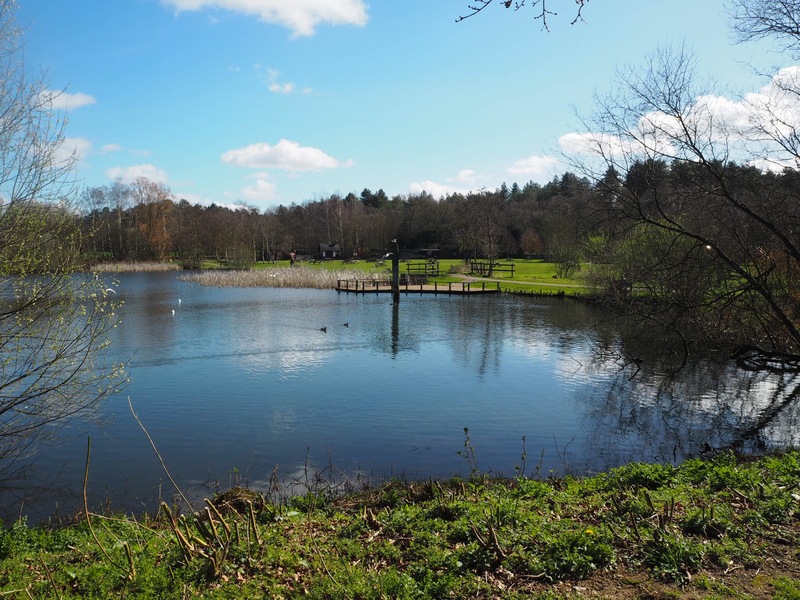 We are due to visit one next month, I think at Bedgebury, I can’t remember for sure. 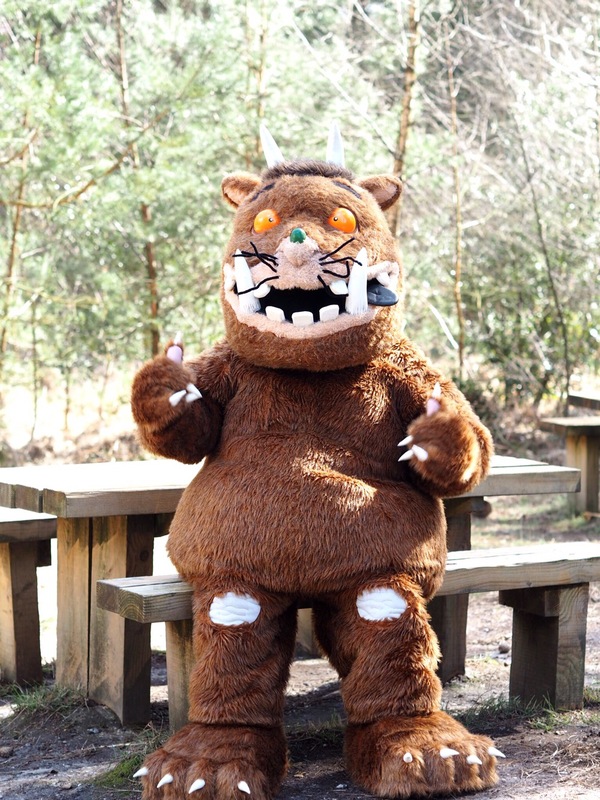 Your photos are beautiful, love the ones with the Gruffalo himself! 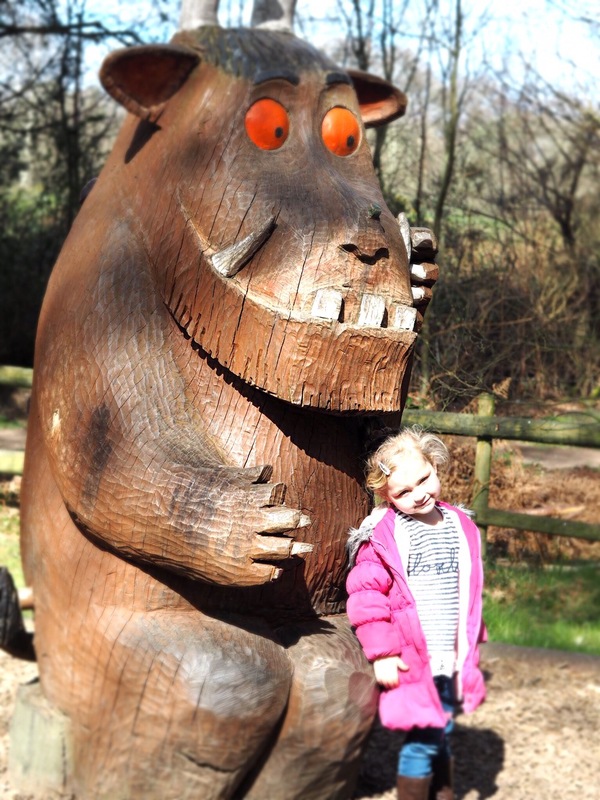 My son wouldn’t have his photo with him when we went to Chessington last weekend!